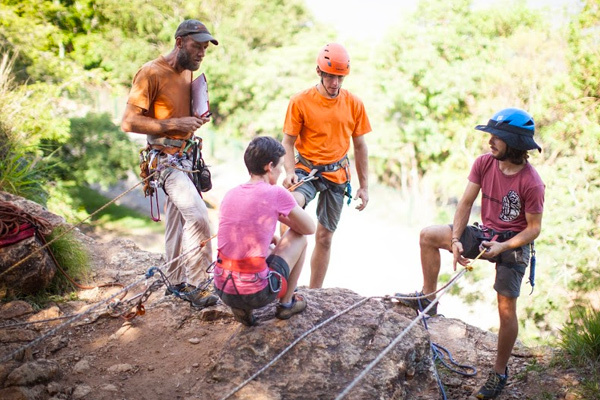 This two day accredited course is designed to give participants the knowledge and skills to safely locate suitable climbs, rig reliable anchor systems and operate a belay station for single pitch top rope climbing scenarios. Whether you’re currently climbing in a gym and want to take it outdoors or you’re climbing outdoors with a club or friends and want to know how it all works, this accredited 2 day course is designed to enable you to set up safely at any crag that you have top rope access to. Statement of Attainment (Certificate) will be sent electronically. The Kangaroo Point Cliffs are heritage-listed cliffs located at Kangaroo Point just across the Brisbane River from the Brisbane CBD in Queensland, Australia. A popular recreation spot, they are conveniently close to the city and the South Bank Parklands. It can be reached by the Pacific Motorway, South-East Busway or a ferry to Thornton Street Wharf. The cliffs are situated on the east bank of the river north of the Maritime Museum and opposite the Queensland University of Technology. 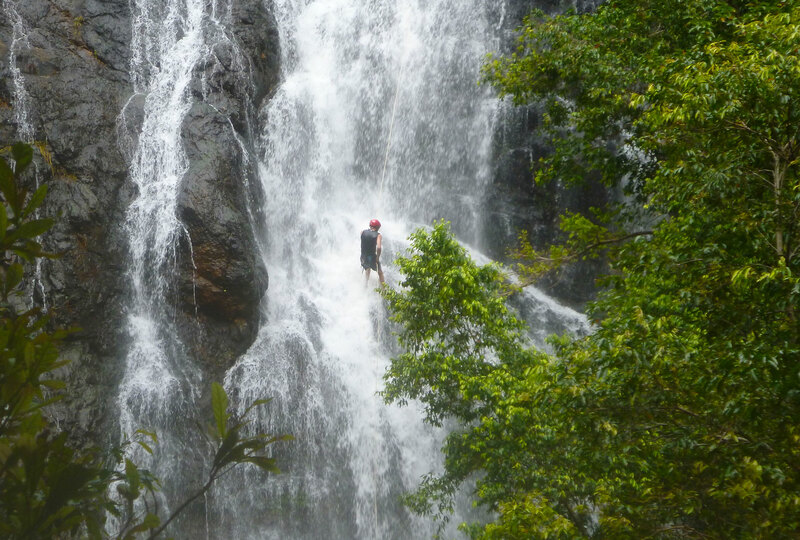 The area is a popular picnic and abseiling site. 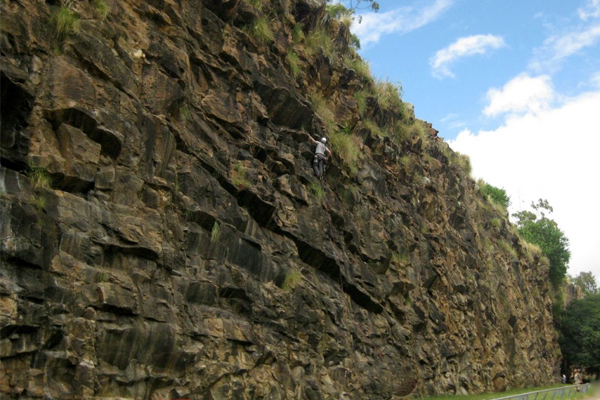 The Kangaroo Point Cliffs feature excellent rock climbing possibilities for all skill levels, being primarily a place for recreational climbing. The cliffs are mainly used as a training ground by South East Queensland’s rockclimbers. The cliff face is lit at night by numerous flood lights. At the base of the cliff, next to the Brisbane River, is a narrow strip of parkland. The park contains electric barbecues, tables and chairs, sculptures, toilets and ample views of the Captain Cook Bridge, mangroves, the City Botanic Gardens and downtown buildings across the river. Native vegetation has been redeveloped into gardens which display a very natural design. At the top of the cliffs is Scout Park. It was opened in 1982 to commemorate 75 years of the scouting movement in Queensland. A new park was created at the site of the former TAFE college in 2010. The cliffs were formed after stone was quarried from the site and used in the construction of a number of local structures. The Kangaroo Point Cliffs were formed after stone (volcanic rock or rhyolite lava flows) was quarried from the site by convicts and used in the construction of a number of local structures. Records indicate that it was Captain Patrick Logan who first opened a quarry to supply stone to his building works as early as 1826. Those structures still standing today include the The Old Windmill and the Commissariat Store. In the 1880s, the government developed coal wharves along the southern end of the cliffs. They were serviced by a rail line and siding until the wharf was demolished in 1974. A marine defense depot was built at the foot of the northern end of the cliffs. It was used for storage and as a training facility. One of the buildings used by the depot remains today as the Naval Stores Museum. These lavas and pyroclastic rocks were deposited in the Triassic Period about 230 million years ago and filled an ancient river valley. These rocks were known as porphyry and later became known as the geological unit called the Brisbane tuff. Stone from the quarry was used to line parts of the Brisbane River with walls. The quarry closed in 1976 but not before stone had been removed for the Manly Boat Harbour and at the new Port of Brisbane.